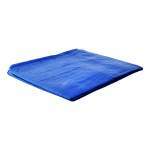 Heavy duty multi purpose blue tarpaulin (5.4m x 7.2m). 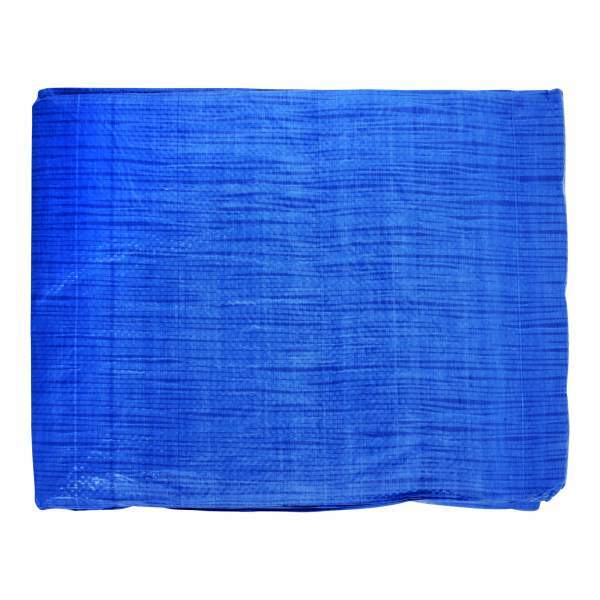 It is manufactured from double laminated polypropylene fabric and is very strong and fully weatherproof. 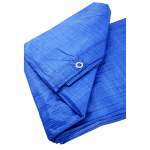 Washable, tear and stretch resistant and rot proof, yet light for easy handling. 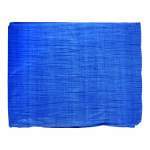 It has reinforced eyelets at the edge, so that it can be lashed down if necessary.